Tired of fidgeting with liquid liner but can’t quite get the look you want with a pencil? Enter gel liner. The less needy foolproof cousin of high-maintenance liquid liner glides on quicker than a pencil, but with a host of daring colors and cleanly drawn lines that rival the liquid ones. 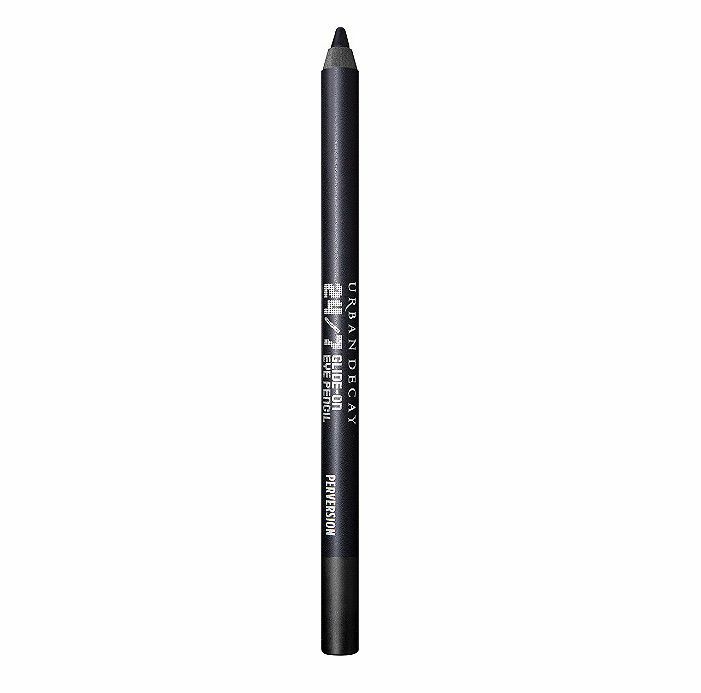 Urban Decay’s hybrid gel-pencil liner has been a staple in makeup bags for years. Pros love the ingredients including Vitamin E, Jojoba oil and Cottonseed oil, which make it easy for pigment to glide-on and last all day. It’s soft enough to smudge before settling in and comes in a host of bright colors. Even with a gel liner, there’s no need to commit to the winged look. NYX’s gel liner can be smudged for the perfect smoky eye or applied neatly for a more polished line. Pair it with your favorite eyeliner brush for a make-up routine that’s complete in seconds. It’s not all about your lash line—sometimes it’s about lifting up the lashes themselves. Benefit’s gel liner has an angled tip that can deposit color almost on top of your lash line and brighten the eyes. With an angled brush and pot, L’Oreal’s waterproof gel liner lasts forever—and it doesn’t fade after a long workday. The shiny finish and an easy-to-draw line make getting the perfect winged eye a three-second ordeal. Tip: Apply the eyeliner to one side of the brush for easy swiping and rest your elbow against the bathroom counter for a steady hand. Be sure to properly wash the brush to get rid of gunky eyeliner between applications. Whether you’re on a boat or wearing eyeliner while watching your favorite drama, IT Cosmetics’ version is sure to hold up. The easily gliding liner comes in nearly a dozen shades and gets raves across the internet. With a thin self-sharpening tip and 12 hours of waterproof wear, the gel eyeliner from the fashion house lives up to the hype with long-lasting results. This K-beauty brand’s gel liner is a top seller in Korea—and for good reason. The brush-and-pot combo creates some of the easiest wingtips without spending hours at the mirror. The blacker-than-black gel glides on easily without smearing even the oiliest skin. Use the liner alone for a no-makeup morning or pair with a bold lip for a night on the town. Tonymoly’s brush bristles create the desired slant on the first try and the gel-filled pot lasts forever. Try the pearl black shade for a night out. At a bargain, this is a hands-down favorite. Our writers spent 10 hours researching the most popular gel eyeliners on the market. Before making their final recommendations, they considered 30 different eyeliners overall, screened options from 40 different brands and manufacturers, read over 50 user reviews (both positive and negative) and tested 20 of the eyeliners themselves. All of this research adds up to recommendations you can trust.